Great size speckled trout for eating, in the 16-19" range. This fall has been a good one so far for speckled trout fishing, and I have been giving away a ton of fish rather than freeze it. Giving away fish is one of the best parts about kayak fishing, and people are generally pretty darn happy to get some totally fresh local fish. Absolutely great way to make sure your neighbors are looking out for you! A few people have asked about ways to cook it, and this is a simple recipe I made up recently that can be done in 15-20 mins, and doesn't have a huge amount of seasoning that masks the freshness of the fish. It just entails breading the fish twice, then pan frying in butter. 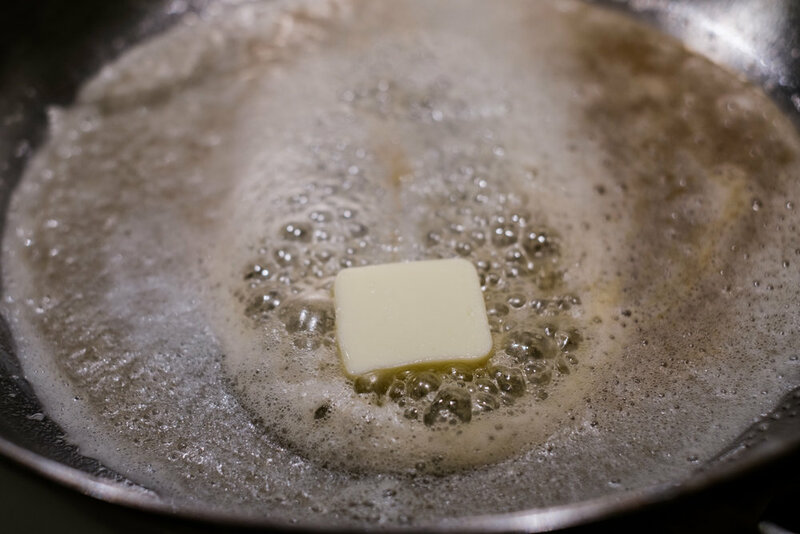 You could probably bake or broil it as well, if you're worried about the fat content of the butter, but it's still healthier with butter than it is to deep fry it. Sorry, no pictures of the finished product, never got back to the camera once they were ready, hah! Of course you can add any kind of cajun spice mix or any other spices at any point in the process. You could also easily sauté some sliced almonds and top the fillets with those a la trout amandine. Pat the fillets dry if they have any water on them, set aside. Separate a couple of eggs, putting the yolks in one bowl and the whites in another. For one meal with 2-3 people, 2 eggs is probably enough. Mix the yolks with a bit of mustard and milk. Not too much milk to make it really runny. 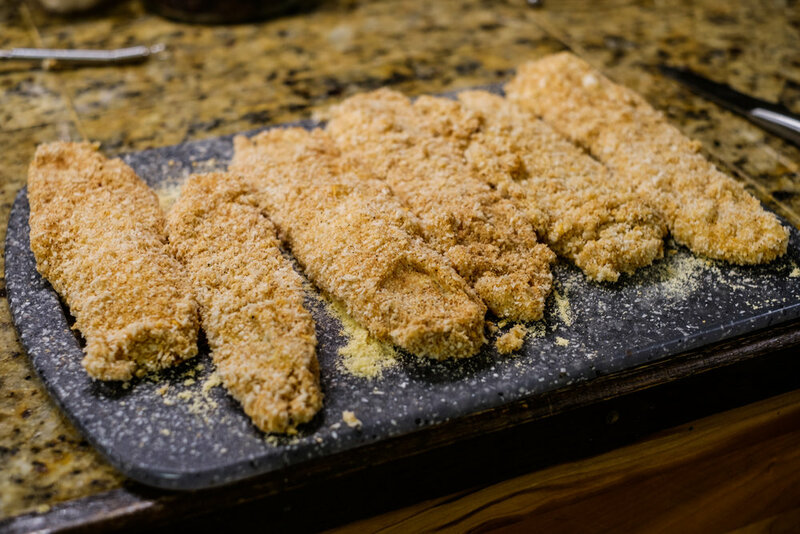 Pass fillets through egg white mixture, then panko bread crumbs, set on plate for a few minutes. Heat pan on med-high heat, put a good pad of butter in. Butter should melt and brown but not burn, and should be enough to cover the pan to maybe 1/8". 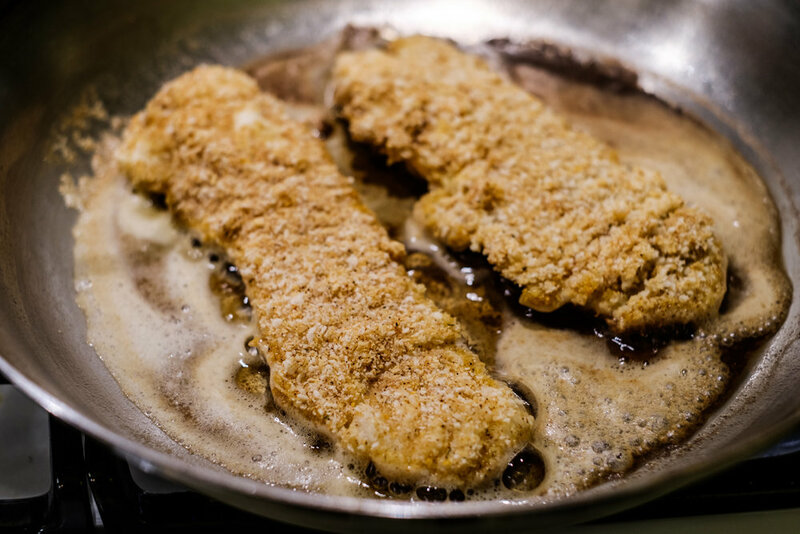 Fry fillets to taste on each side. Add a bit of butter when you flip them. Don't flip more than once. Dry on paper towels and serve.